For nine years we have brought together young athletes around Balaka through Andiamo Education Institutions (AEI) to compete for different prizes in the process we identify talents. This year we have gone national. 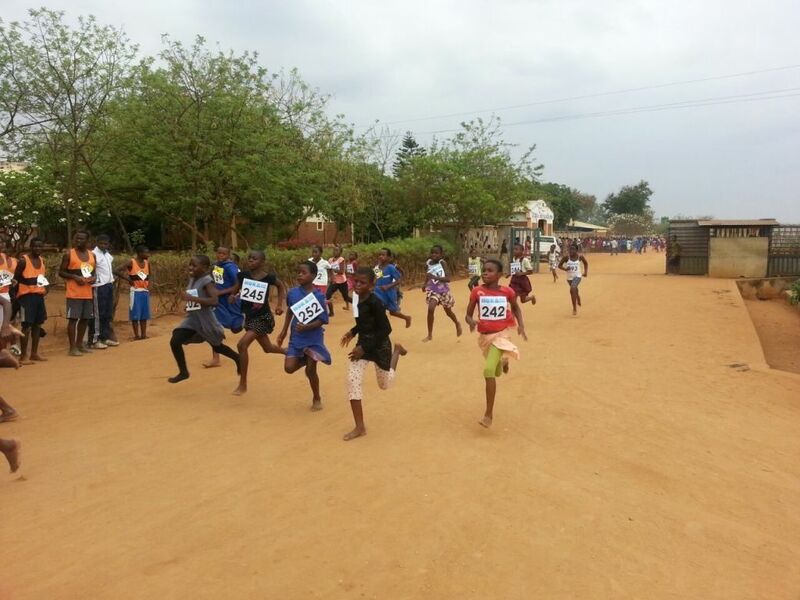 Athletes around Malawi have gathered at Andiamo Ground competing in the following categories: Mini Junior Girls 3 km; Mini Junior Boys 3 km; Junior Girls 4 km; Senior Girls 6 km; Junior Boys 6 km; and Senior Boys 8 km. We have called this Balaka Run and salute Corri Bonate and Outdoor Rieti, organizations in Italy who have helped us with different prizes that will be given today. We would be failing if we don’t mention Don Cesare Castelli for the trophies and Fr. Mario Pacifici for his trust in young people since he arrived in Malawi in the 70s. Let the games begin. We will update you of the results. Remember it is at Andiamo ground. This entry was posted in Culture and Sport, News from Malawi and tagged Andiamo Education Institutions, Don Cesare Castelli, Fr.Mario Pacifici. Bookmark the permalink.